Sourcing capital for a startup is challenging. Startups have to play the game with a limited budget. And when it comes to startup marketing: It is a different animal altogether. Startups don’t have a brand identity and your customers don’t know you, so you have to reach your target market with all the limited marketing budget you have. With ever-increasing individual debt rates, low startup marketing budget, and fierce competition, getting new customers for your startup is challenging. Here are three ways you can win more customers for your startup without increasing marketing budget. Don’t do what everyone else is doing. They might be doing it wrong. You never know your competitors might be using a less productive marketing channel. Competitor spying doesn’t just cost your marketing team money but it is often misleading. Your competitor might have a different unique selling proposition, they might be targeting a small chunk of a target market, or they might be doing it ineffectively but still better than most of the other businesses. You have to identify most suitable marketing channels for your startup irrespective of whether they’re used by others. The best marketing channel is one that gives you access to a big chunk of your target market. For instance, market research reveals that 60 per cent of your target audience is on Snapchat, you have to spend money on Snapchat marketing. Period. You don’t have to use Facebook, Twitter, and Instagram just because they’re famous social networks. That’s where startups go wrong. So the first thing is to identify your target audiences’ interests and identify all the marketing channels that you can use to reach them. Then, carefully handpick the most effective channels. If it is a single marketing channel, stick to it. Targeting influencers who control your target audiences’ buying power isn’t just cost-effective but it helps you reach 85 per cent of your target audience. Instead of targeting, say 200K, people in your target market, you should target a few influencers who influence your target market. Identifying, contacting, targeting, and compensating a few such influencers is easier as well as cost-effective. The best part, influencer marketing works. For every $1 spent on influencer marketing, businesses make $6.50. Consumers trust influencer recommendation. You can use this trust to generate sales. Think of local celebrities, journalists, sportsmen, and field experts, they all are influencers with huge followers. Identify the most effective influencers for your startup who control your target audience and start targeting them. Create content for your influencers, tag them, build relationships, ask them to promote your startup, and compensate them. You have no idea how easier it will get to reach new customers. Free trials, samples, discount coupons, free shipping, or anything else that is free for your target audience works. There is no second opinion. As much as 97 per cent of shoppers look for a coupon when they shop while 92 per cent of buyers are always looking for a coupon. Some 25 per cent of consumers spend more than four hours a week searching for deals and coupons. Research shows that 28 per cent of buyers will abandon a shopping cart if they have to pay a shipping cost and 54 per cent of buyers will purchase a product that they left in their shopping cart if it is offered at a lower price. Consumers love coupons and free stuff. If your marketing campaign is focusing too much on benefits and product uniqueness, it is likely that you won’t see a decent conversion rate. Offer them something free or maybe a coupon or offer free shipping. There is a huge difference when you’re trying to promote a new product at regular price and a new product at a discount. I’d recommend using all the three methods together. Identify influencers on right marketing channels and promote your startup with a discount. 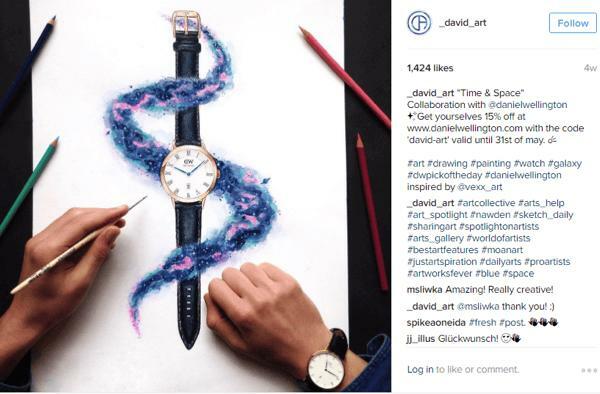 Daniel Wellington used this technique to promote its watches by partnering with influencers who promoted their discount coupons. This campaign helped Daniel Wellington jump from a $150K startup to a $220 million brand and increased its profit by 214% in less than a year. Kickstart your startup marketing campaign with a different angle. Bring customers onboard without over-spending on marketing. The post 3 ways to win more customers without a hefty marketing budget appeared first on e27.